Famed actor Vindu Dara Singh celebrated his father’s 86th birthday in the village of Jhulana in Ghusai Kheda on November 19, 2014. His father, Dara Singh who expired on 12th July 2012 was a well-known wrestler-turned-actor. He was the first sportsman to be nominated to the Rajya Sabha. 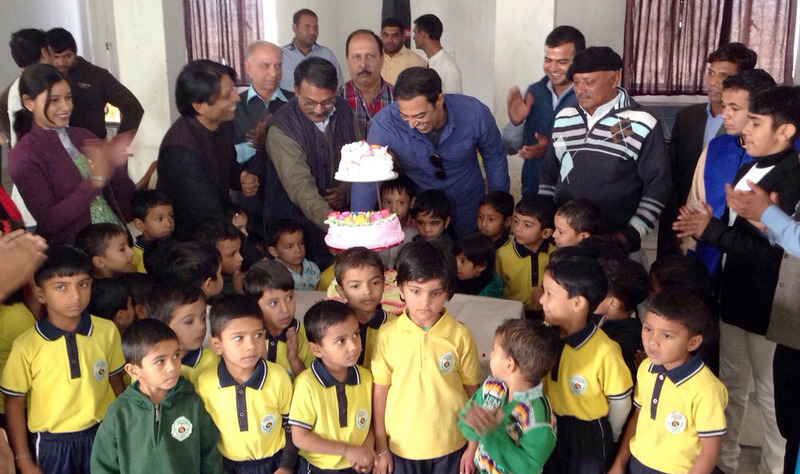 As a part of the celebration, Vindu organized the cake cutting ceremony in remembrance of his father in D.P.S School with the children. Thereafter a wrestling competition was held in Aadarsh wrestling camp (Aadarsh Akhada) in Jind. Vindu who was also the renowned guest too honored all the wrestlers. On the occasion, Ratan Singh, uncle of Vindu, Wrestling President Sumer Pahalwan, Jaggi Sihag, Billu Pahalwan, Wrestling coach Dalbir Sindhu, Anil Faur and many others made their presence felt.